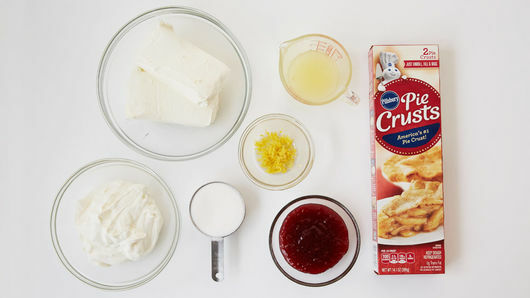 In medium bowl, beat cream cheese and sugar on medium-high speed 2 minutes or until smooth. Add sour cream, lemon peel and lemon juice; beat on low speed until blended. Pour over crust; spread evenly with spatula. Place 1/2 cup raspberry fruit spread in small resealable food-storage plastic bag; cut off very small bottom corner of bag. Starting at one long side of pan, squeeze bag to make about 10 crosswise rows of jam. 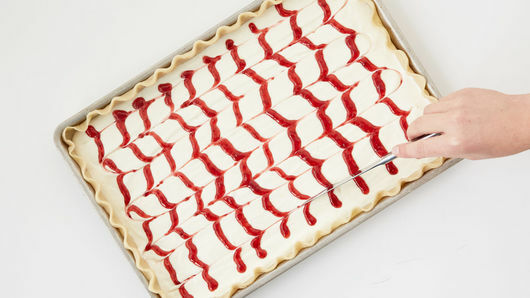 Starting at one short side of pan, pull butter knife lengthwise about 10 times through rows of jam. Bake 40 to 45 minutes or until center is set. Cool in pan on cooling rack 30 minutes. 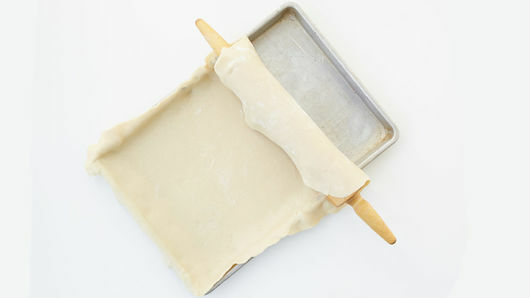 Refrigerate at least 30 minutes before serving. Store in refrigerator. Roll lemons on the kitchen counter with the palm of your hand to release the juice before cutting into them. It will yield more juice every time! 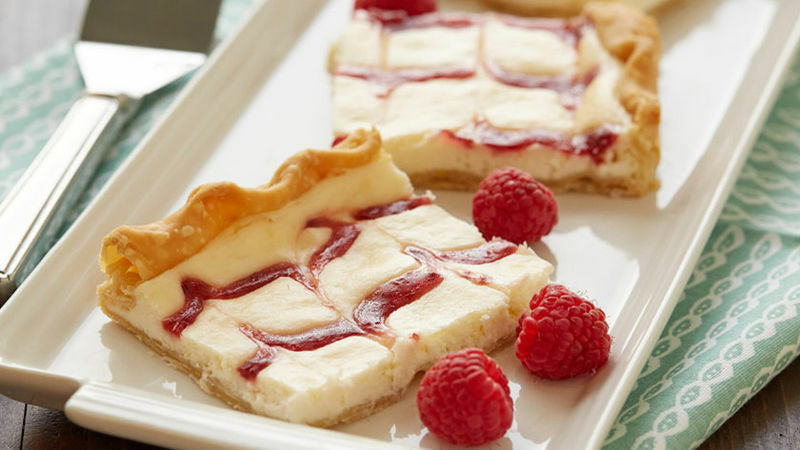 Raspberry fruit spread works well in this recipe and provides a brighter red color in the cheesecake. Seedless raspberry jam or preserves will also provide good results with a darker color.